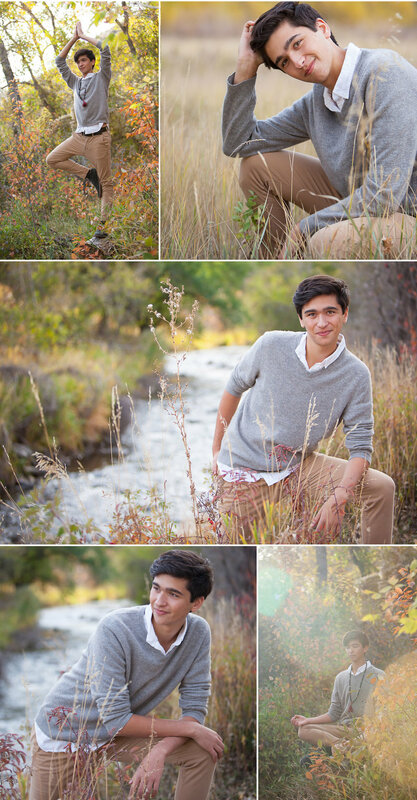 What a blast it was playing in the mountains while photographing this handsome, fun, bright senior! Cooper lives a bit farther from Denver than a lot of my clients, and schedules being what they are we arranged his senior portrait consultation over the phone. As a result, I didn't have a chance to actually meet him face to face until the day of his photo session. I prefer meeting clients before their session for a consultation if possible so they are fully comfortable with me and what to expect from this experience. Yet despite not having met first, by the end of our time at Lair o’ the Bear park I felt like we'd been friends forever! We had such a great time getting to know each other, laughing and searching for the best spots on the trail. And what a great location this park is, just up the road from Red Rocks Amphitheater, west of Denver. Cooper is an avid autumn-lover, and was fortunate to attend a school with a later yearbook deadline which allowed us to plan his outing accordingly. We chose a session date closer to peak autumn color (so many high school senior yearbook deadlines are too early for peak fall color in Colorado, which really doesn’t happen until the middle to second half of October). As Cooper is an actor (heading to one of the most prestigious BFA programs for acting in the country), part of the goal was also to get him some actor headshots as well. I love the mix of capturing intimate, character-in-the-eyes photos with the more casual, quirky photos you get to explore on a senior session. For example, someone who wants to do yoga and meditation in the woods? I'm in! One of my favorite things about visiting the mountains is how the trails can change dramatically in just a few steps. This area has so many varied vistas, allowing for deeply shaded photos, cottonwood, water flowing in the creek, and open fields with tall grasses. And in autumn, everything glows with golden warmth. Like the personality of this awesome young man! So excited to see what he does with the next exciting phase of his life!! Thank you for letting me capture this experience with you, Cooper! CLASS OF 2018: SENIOR PICTURES ARE BOOKING FAST!! Drop me a line if you'd like to learn more! email Jennifer to learn more! 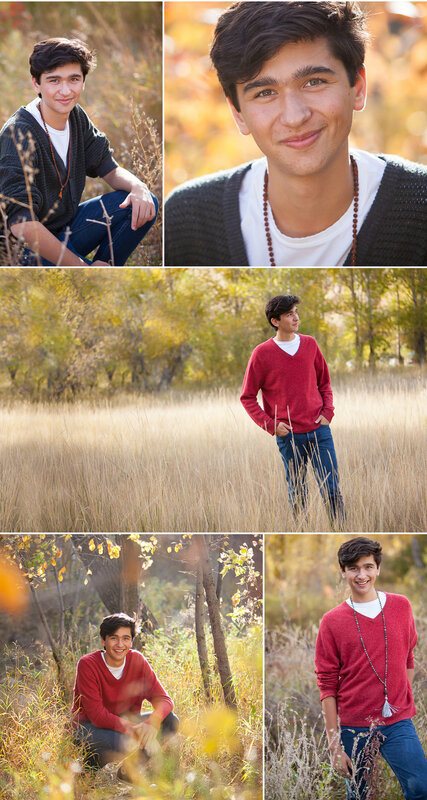 ABOUT THE PHOTOGRAPHER: I’m a fun-loving Denver high school senior portrait photographer specializing in bringing out connection, personality in the eyes of my clients. I strive to do more than just take senior pictures for yearbook, instead my focus is on storytelling with pictures. Together we’ll collaborate to design an immersive and empowering portrait experience, custom tailored around the personality, style and interests of each awesome senior -- hopefully YOU. Let’s grab a coffee and chat about designing an amazing high school senior photo shoot for you!